Social media is a powerful marketing tool that shouldn’t be ignored. Although your company’s website is a valuable tool, few customers are going to visit it on a daily basis. However, they do check their social media every day. The more current and prospective customers connect with your social media accounts, the bigger your opportunity to reach them. Successful social media marketing requires much more than creating a Facebook page and posting an occasional link. Without a solid strategy, you won’t be using your social media time and resources effectively. Learning how to leverage your business’s social media platforms can help you reach as many customers as possible. Facebook, Twitter, Instagram, and LinkedIn are some of the most common social media platforms. But how do you know which is best for your specific social media marketing strategy? They’re not only formatted differently, each platform is popular with a different group of consumers, so it’s important to focus on platforms your target demographic is likely to be using. Here’s a brief overview of each one to help you decide. Facebook: The granddaddy of them all, Facebook is the most widely used social media platform in the world. Facebook provides an enormous user base and is extremely easy to use for marketing. Company pages are simple to set up, free to use at the basic level, and very flexible. Businesses can pay to broadcast their “boosted” posts to more people, or purchase ad space within Facebook for even greater visibility. Twitter: How much information can you pack into 140 characters? Plenty, as it turns out! Those short messages can really pay off as other Twitter users reply to, favorite, and retweet your content. Every time that happens, your post is broadcast to more and more users. It’s also a great way for your customers to reach you, since users can tweet a business more quickly than sending an email. Instagram: This is where you can really let your creative team run free! Photos, short videos, and the new Instagram Stories are opportunities to create fun, innovative messages that will make a big impression on your audience. LinkedIn: While many people think it as strictly a networking tool, LinkedIn is also excellent for both B2B and B2C marketing. You can use it to supplement your company website and post news and updates, product information, and even job opportunities. After you’ve set up your company’s social media accounts, the next step is crafting posts that will be interesting and engaging to your audience. Plain text or a link to an article usually won’t make much of an impact. To make sure your customers take notice, use eye-catching, compelling tactics like infographics, interactive content such as surveys and quizzes, and lots of images. These posts are more likely to produce the likes, shares, favorites, and retweets you’re looking for. Another benefit of social media marketing is that many platforms feature native analytics programs so you can track which posts are performing the best. Analytics reports provide a wealth of valuable information about who is looking at your posts, including geographical area, search queries, web browsers, mobile devices, and even age demographics. Watch this information closely so you can tailor your content to appeal to your exact audience. Most importantly, don’t forget to follow up! When users comment on your social posts, take the time to respond. Interacting with your customers more means they’ll be more engaged with your brand—and they’ll stay interested longer. Are you ready to take advantage of social media marketing? 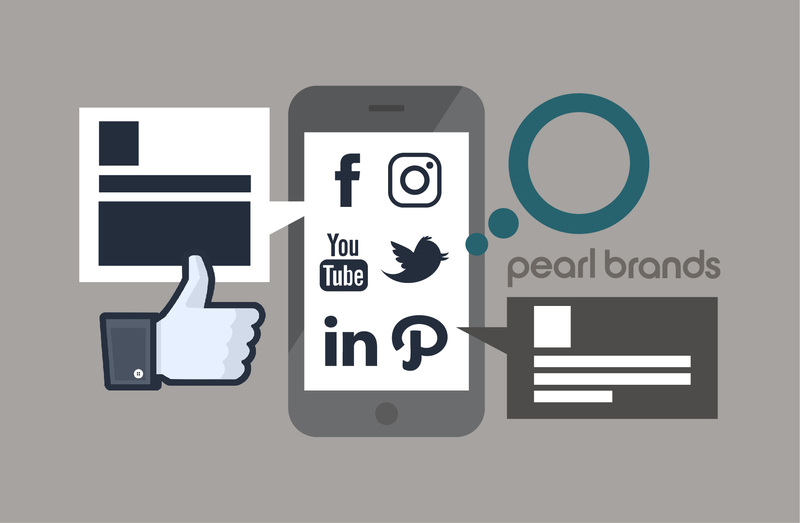 Consult the experts at Pearl Brands to launch this phase of your marketing strategy. Give us a call at at 239.313.6059 or contact us online to find out how we can help your social media accounts live up to their potential.